An off-duty police officer is in the process of being suspended after his patrol rifle was stolen from his car Saturday night while he was at a Calgary restaurant. Calgary Police Supt. Kevan Stuart said at a press conference Sunday, that the incident made him "sick to (his) stomach," and that "there is no reason" why an officer should take his firearm home. According to police, the officer left his personal vehicle in a restaurant parking lot on Crowfoot Terrace. The officer told investigators that he had planned to take his Colt C8 semi-automatic rifle home to clean. He said that his gun was in a locked, hard-covered carrying case along with two 28-round magazines, police said in a statement. When the officer returned to his car, he found that his vehicle had been broken into, and the rifle case and its contents were missing. Stuart said that the carrying case may not have been "properly tethered" inside the vehicle. The Professional Standards Section of Calgary police, with oversight from the Alberta Serious Incident Response Team, will investigate the incident to see if there were any breaches of criminal code or police policy. 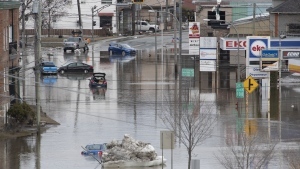 "If our investigation determines that there are any criminal code breaches that put the public at (risk) and officers at (risk), this officer's career is in huge jeopardy," Stuart said. Investigators are also looking for CCTV footage of the area and are trying to see if other vehicles were also targeted. Anyone with information about the incident is being asked to contact Calgary police at 403-266-1234 or Crime Stoppers at 1-800-222-8477. 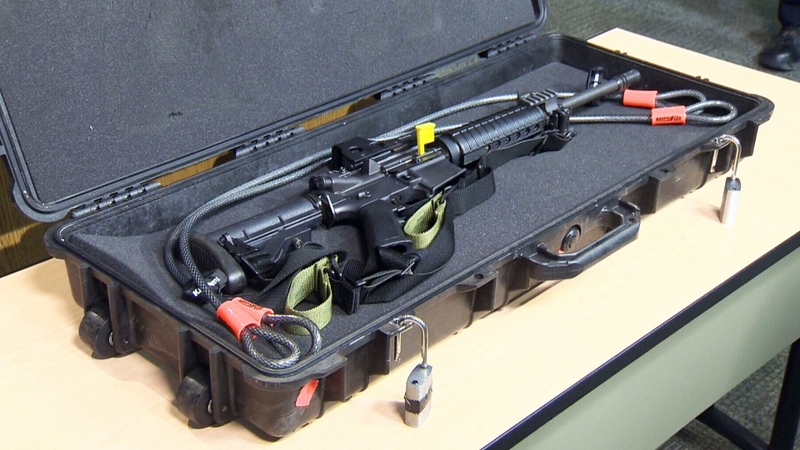 Stuart said the anyone who comes across the rifle should not touch it, and instead call 911. Calgary police are searching for the culprit who stole a patrol rifle, similar to the one in this photo, from an off duty CPS member's vehicle. 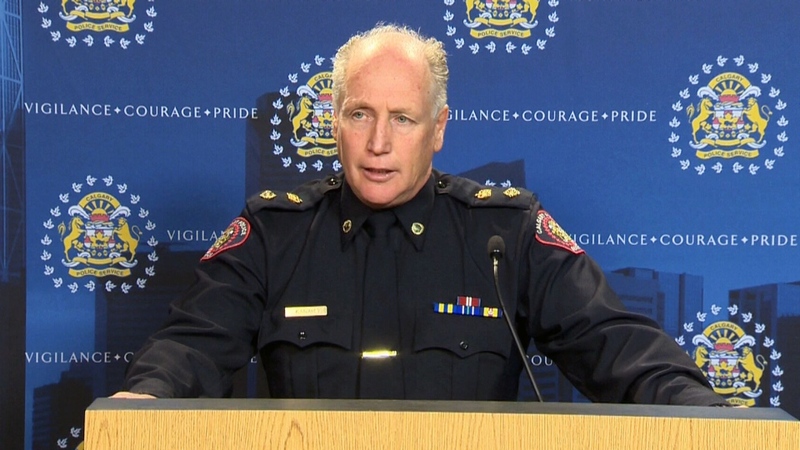 Calgary police superintendent Kevan Stuart speaks to reporters on Sunday, April 5, 2015.